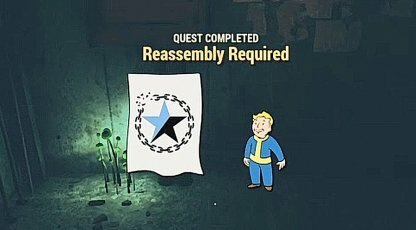 Check out this guide for a full walkthrough of the Reassembly Required Quest from Fallout 76, including gameplay tips, guides & more. Abbie's Bunker will be found at the far eastern side of the map. It is a bit of a trek East from the Top of The World. Its door will be marked with a black and blue stars, surrounded by a broken chain. Head inside and Abbie's message will automatically play. 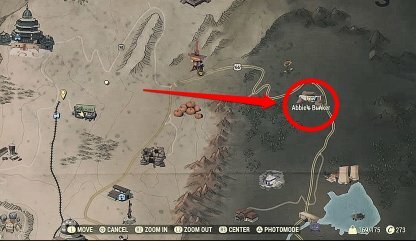 The 5 Scorched Detectors are just South of Abbie's Bunker, with one right outside of the bunker. 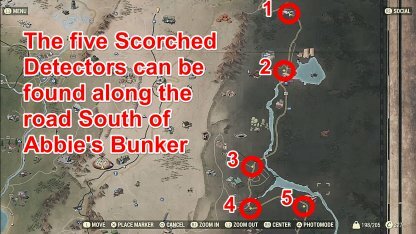 Follow the road down south, and you will be able to pass through all 5 Scorched Detectors along the way! 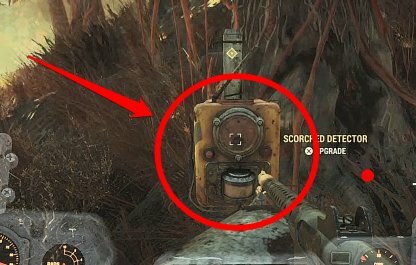 The above image shows you what the Scorched Detectors look like. They are yellow boxes with large red buttons, attached to small poles alongside the road. While walking along the road, you will encounter lots of enemies along the way. Some of them have possess high levels, and they spawn in groups. If you are planning to fight, come equipped with Power Armor, and weapons! Alternatively, if you do not want to fight, you can opt to sneak around enemies instead to avoid any fights or encounters. 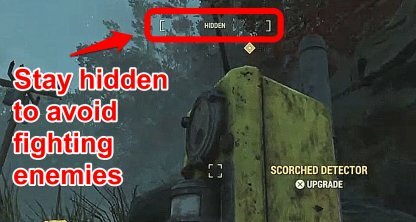 It is recommended to equip the Sneak Perk Card here to decrease chances of detection! Rose is located at the Mezzanine on the Top of The World. 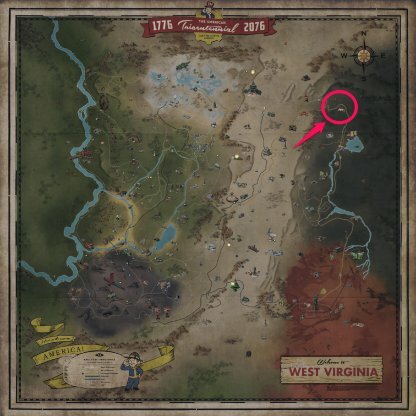 It is in the middle part of the map along Route 63. 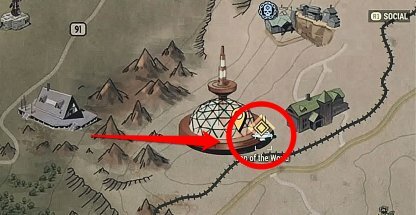 Look for a red dome with a tower on top of it. Once here, head for the elevator in the middle of the dome, and press the top button.